The SAMI Trainer Academy is a center for instructors training in all SAMICS Systems and Concepts. Our mission is not only to train our instructors in martial art techniques and skills but to support them in all areas required to become competent and expert trainers – training methodology, instruction and coaching tools, didactics and communication skills. 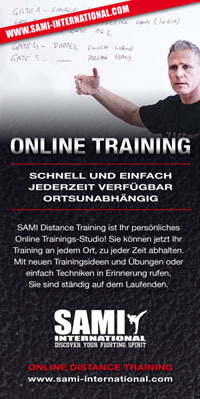 The SAMI Trainer Academy is renowned worldwide for its courses, seminars and training methodology. Our course content and cirriculum are continuously updated to be state-of-the-art and we choose our instructors carefully in order to achieve the highest possible levels in both technical and instructional skills. Our philosophy: Training by experts – for experts!